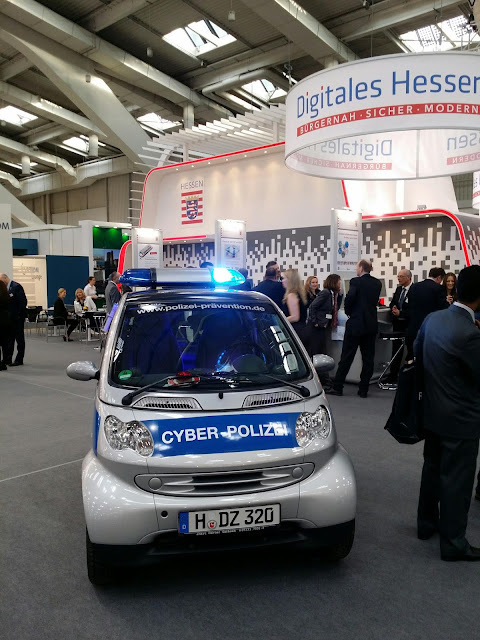 After many years of abstinence I went back to visit the CeBIT today. And actually enjoyed it a lot. It is funny to see how everything is new but nothing changed. From the oversized booths of the big players like IBM and Microsoft to the tiny stalls of Asian bank note counting machine vendors. From the large and somewhat empty government-IT-oriented booths to meeting old acquaintances and friends. 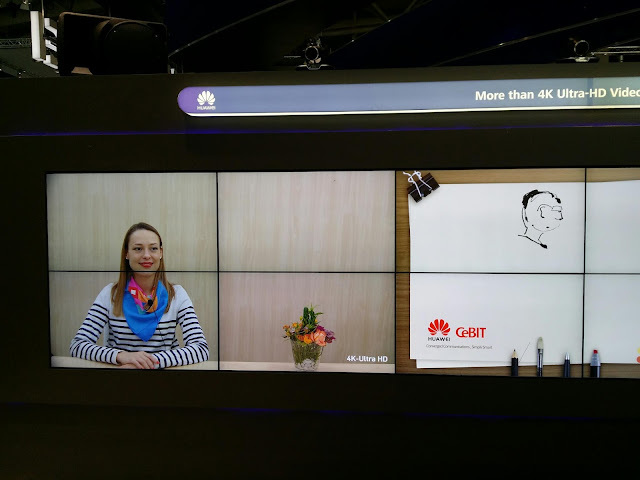 But there are also several notably new things to see: For example Huawei shows itself being an important global player with a huge booth next to IBM. I managed only to visit a third of the exhibition but it was more than I could absorb in a single day. 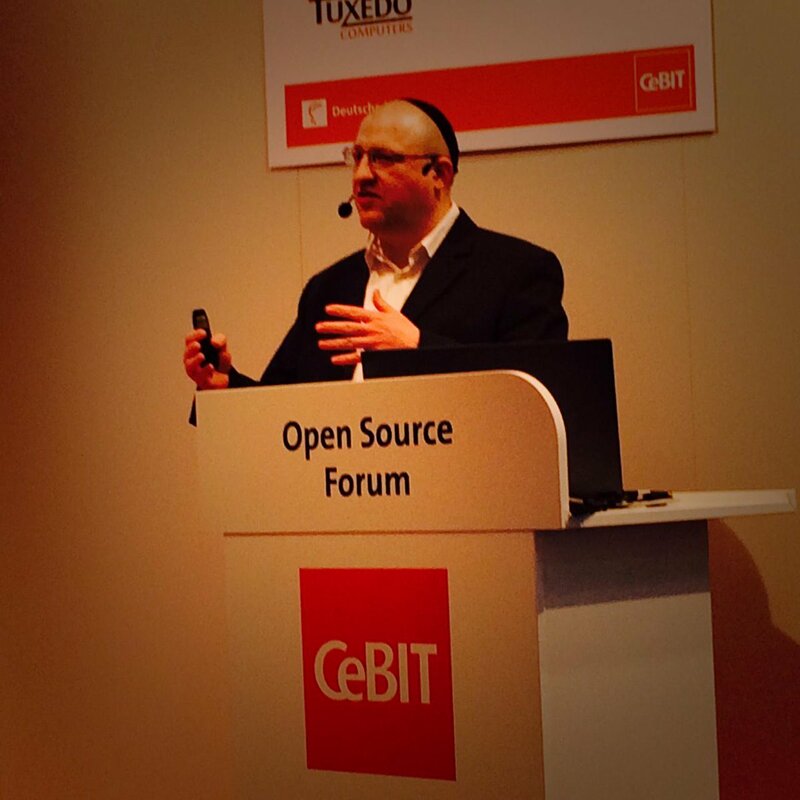 Nevertheless, my missing was accomplished with giving a talk about “Open Source, Agile and DevOps at ImmobilienScout24”. The talk is much more high-level than my usual talks and tries to give a walk through overview. There were about 60-80 people attending my talk and the questions showed that the topic was relevant for the audience. So maybe giving management-level talks is the right thing to do for CeBIT. Meeting people is the other thing that still works really well at the CeBIT. Without a prior appointment I was able to meet with Jürgen Seeger from iX magazine about my next ideas for articles and with people from SEP about better integrating their backup tool SESAM and Relax-and-Recover. The new CeBIT concept of focusing on the professional audience seems to work, I noticed much less bag-toting swag-hunting people than last time. All in all I think that attending for one day is worth the trouble and enough to cover the important meetings. IBMs Watson wants to be a physician. Video conferencing with life-sized counterparts. 4K really does make a difference! 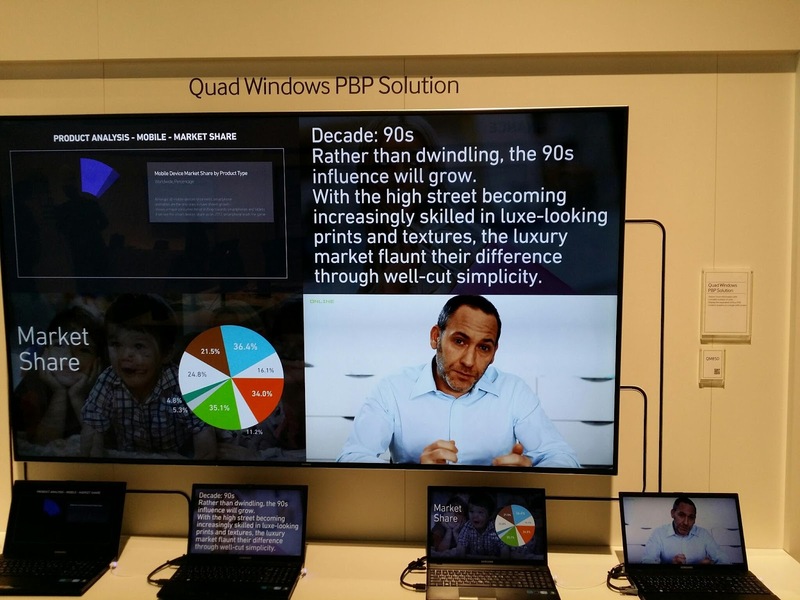 Why buy 4 screens if you can buy 1 (QM85D)? 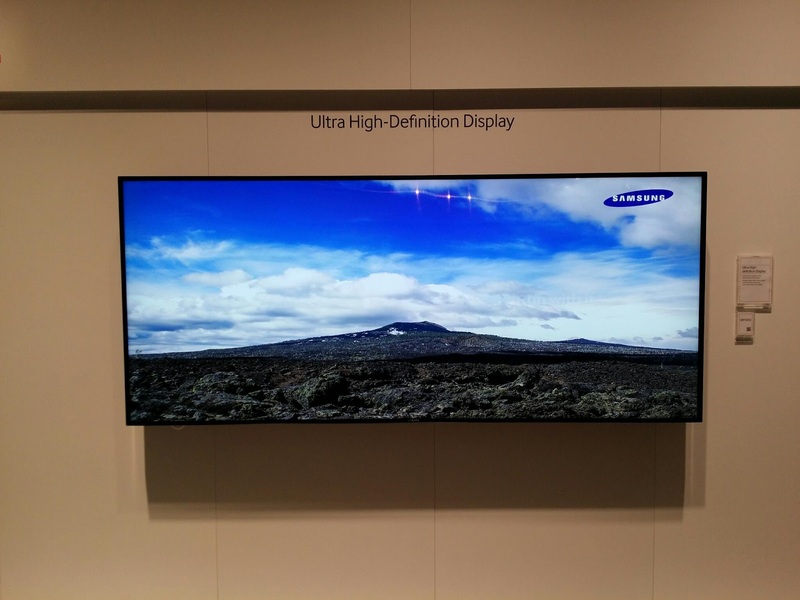 Samsung has a lot more to offer than just phones. Definitively my next TV (QM105D). 105", 21:9 ratio and 2.5 meters wide. 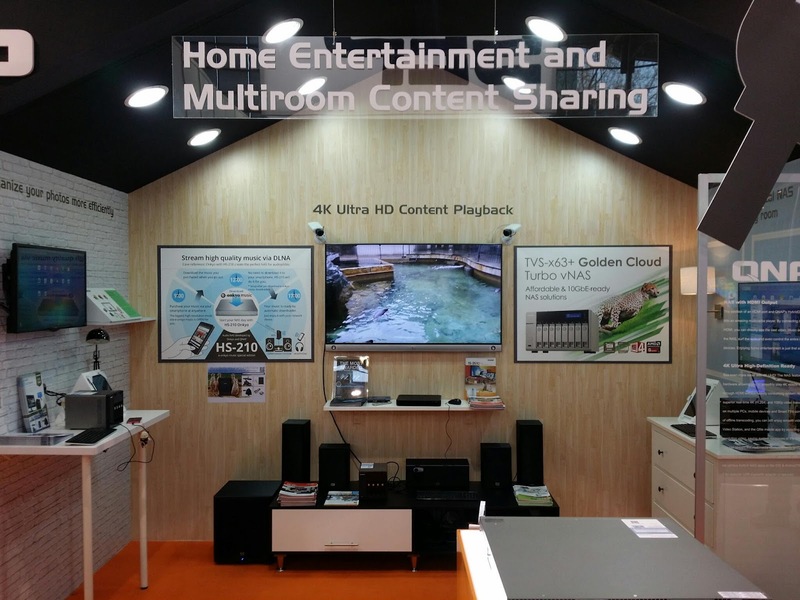 Another multimedia vendor? WRONG! This is "just" a storage box! 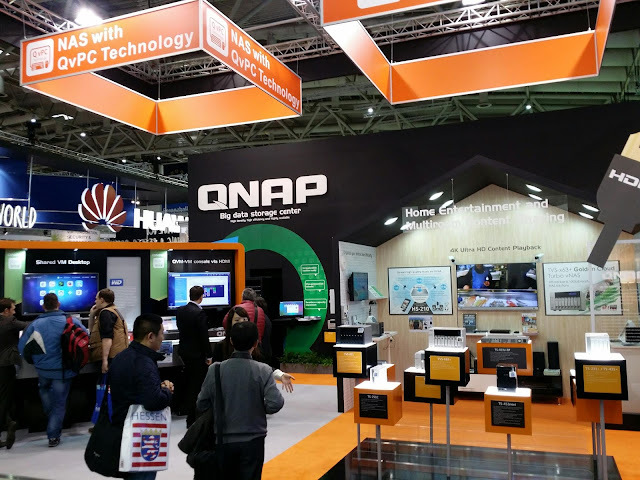 Though is seems like storage is no longer the main focus for QNAP. 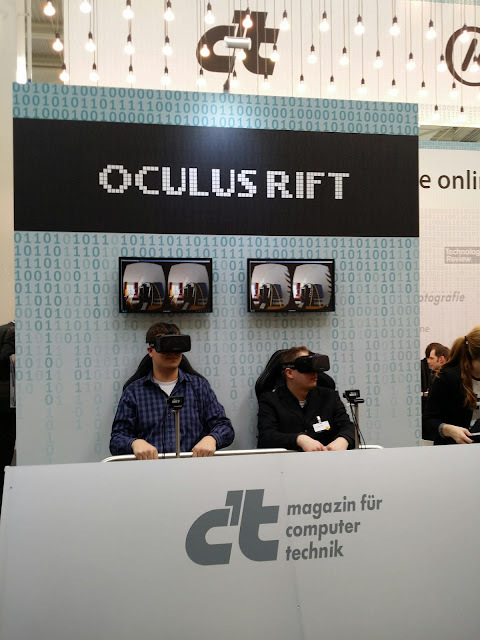 Virtual rollercoaster at Heise - barf bags not included. 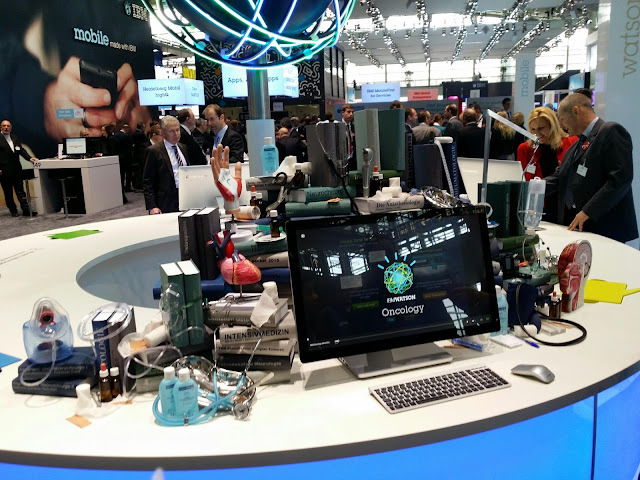 Deutsche Telekom always has a big booth and represents the top of German IT development. 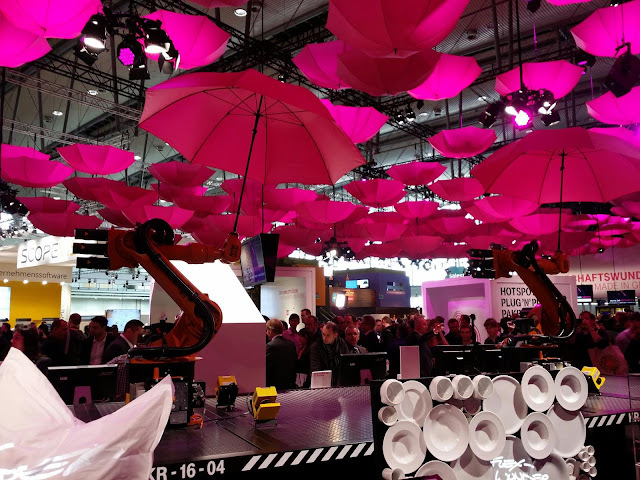 To underline the "Internet of Things" a bunch of robot arms was dancing with magenta umbrellas. 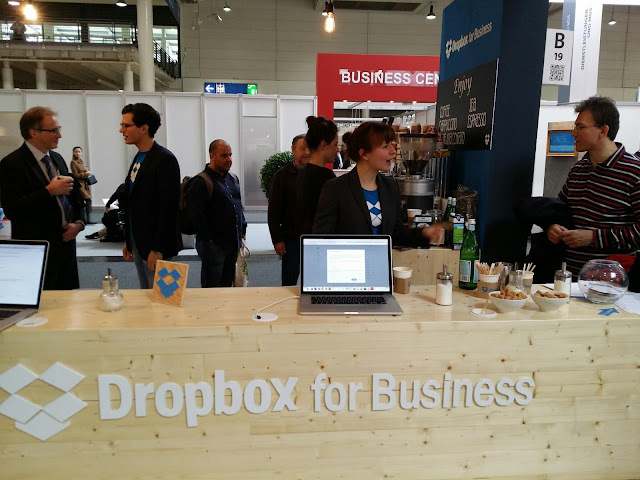 Dropbox comes to CeBIT in an attempt to win business customers. The data is still hosted in the USA, but the coffee was great. 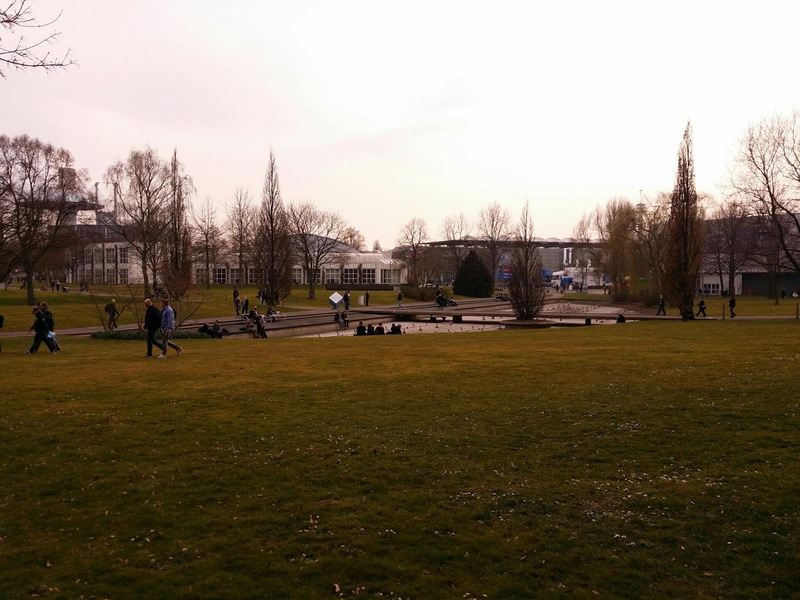 And finally, even the weather was nice today.